Oh. My. Goodness. Tonight, I totally thought the flesh was going to melt off of my hand. It all started when I was making peach salsa, which called for diced jalapenos. Blissfully unaware of the danger lurking on the cutting board in front of me, I chopped away at the three deceiving peppers. Nobody had ever warned me to wear gloves when dealing with jalapenos. I had no idea what I was in for. Not long after I’d chopped the peppers I began feeling a little tingle in my finger. No big deal. But as I continued cooking, the tingling turned to a slight burning. I washed my hands, and kept working away. It wasn’t long, however, before my hand was completely on fire. I was not at a good stopping point though, my peaches were peeled and ready to be chopped before they began turning brown, so I had to keep going. I soaked my hand in milk for 15 min. Temporary relief for the first 5 minutes, but then the burning came back. I broke an aloe leaf and rubbed the gel onto my hand. Very little relief. I plunged my hand into the sour cream container. Good for a while, but the burning returned. I rubbed real butter over the pain. A little help, but not for long. I soaked cotton balls with rubbing alcohol and rubbed my hand with them. Not much help. I sprayed my hand with Calamine Lotion. No good. I poured Tecnu all over it, and rubbed it for 2 minutes. (My theory: It removes the oils from poison ivy, so maybe it would remove the jalapeno oils?) No good. I tried rubbing lavender oil on it. Didn’t help. I read that if I ran my hands through my hair it would help. Nope. Jerry just said I looked like a crack head, freaking out rubbing my fingers through my hair. Thanks hunny. Scrubbing with dish soap did not help. I doused my hand with vegetable oil. Not any help. I tried pouring honey over the burns. No luck. I rubbed it with toothpaste. Only made it worse. I rubbed it with a freshly cut onion. Didn’t work either. I poured burn spray stuff on it. No relief. Can you picture me running through the house trying to find something else to put on my flaming hand? Actually, Jerry was searching the computer calling out remedies as I found all of the ingredients and tried them. Now, I’m a tough cookie. I can handle pain. But this, this got to almost unbearable. It was the feeling of holding my fingers over an open flame, and leaving them there. Every now and then I had to look down at my hand to make sure my skin wasn’t blistering up. I’m pretty sure these jalapenos were from Satan himself. The only thing that helped at all was holding my hand in a bag of ice. For three hours I tried to ease the pain. What was even worse is that it can spread to others, so I was afraid to pick up baby Xia. Jerry had to stay home from church to help me with her. He brought me some rubber gloves to put on while I nursed her, but having my hands in those hot gloves only intensified the burning. I finished up my canning one handed. This salsa better be darn worth it! I muttered under my breath. When I was done in the kitchen I headed back to the computer. As I scoured every article on jalapenos I could find, looking for some advice other than, “Make sure you wear gloves when chopping jalapenos.” Thanks! A lot of good that does me now! And all at once, I finally came across something I hadn’t tried yet. I shot to the fridge, grabbed the two year old bottle of runny yellow glop, and slathered it on my hand. Ahhhhh. Instant relief! I couldn’t believe it. I left it on until it dried. After a little while the burning sensation came back, though definitely muted. I touched up my mustard manicure. Three times I rubbed it into my hand, and after about 30 more minutes I washed it all off, and the pain was completely gone! Mustard!! Oh, how I love you. Lesson One: Wear gloves when you chop jalapenos! Every. Single. Time. Lesson Two: If you were absent during Lesson One, and you are crouching in the corner of your kitchen in agonizing jalapeno misery, try Mustard first. This is one of those things you will only do once in your life. So glad I found this! Tried milk and olive oil nothing… Sat for about 30 minutes with it on my hands after cutting jalapeños… Much better than before! Omg! I just found this and first I was laughing because I did every remedy the internet could throw at me.. and second the mustard WORKED! The only thing that helped me aghhhh relief with my favorite condiment thank you for keeping this post on the Internet! Hand saver! This was the first remedy I found today and it’s wonderful. I was dicing serrato peppers two hours ago and after squeezing a little dijon under my thumb nails I used normal bandaids and made a funnel around the tips of my thumbs to keep the mustard in and to apply more when needed. Pretty dope. You are an angel. Mustard helped! Thank you so much! Thank you thank you thank you. You saved me today. I am an English woman living in France and was preparing our chillis for freezing today. Once I had finished my left hand started an agonising burning and I tried nearly everything on the internet – milk, oil, dish detergent etc etc and nothing worked. I was crying with the pain which I can only say was like having my hand in a pan of boiling water. When I read your blog I looked for mustard – we only had a pot of Dijon si I spooned it on. Within 5 minutes it felt a little better, after an hour I was able to take it off (with oil not water, I still darent get my hands wet). Thank you so much. Thank God for you! Mustard is the only that worked. I tried everything before finding this site. Absolutely works. It took three applications of mustard and washing my hands with dish soap and cold water in between applications. Slather the mustard on, and leave it until it dries. The beer and Tylenol may have helped. The same thing just happened to me. As a matter of fact my hands are burning right now. I was cutting up jalapeños but that’s not how I got the burn. After I cut them up I wiped of the jalapeño seeds of the cutting board. Then I had to wash my hands. I needed something to dry my hands with. So i dried my hands with the same rag I wiped the jalapeño seed with. God help me. Dude. I just did the exact, same, thing. 2 hours ago. I’m dying lol. It was Serrano peppers, too. Total legend. Just used Djon mustard and it really helped too. Yay. I tried everything listed…then got my cannabis cream out. Burning gone and it stayed gone! Wow! I read this post in agony, fingers literally on fire (in my mind). I did a mustard manicure for about 5 minutes and rinsed it off in despair, thinking, this isn’t working. Then I re-read all the success stories and your directions again in desperation and realized that it would take much longer than that to dissolve all the capsaicin that I subjected my hands to when attempting a recipe. I soaked them for about 45 minutes until it dried. I will need to do it again, I think, but it did give me some relief, but not until rinsed it off. It’s coming back now, but I hope if I do it a second or third time, it will do the trick. Ouch! Never again without gloves! Kendra. 8 years since you wrote this post and it’s still saving people from some dreary misery. I myself tried every other option on the internet in my 19 hours sleepless struggle of burning hands till I found this. Rushed to the supermarket to get some mustard sauce and it miraculously worked. Can’t believe how relieved I feel. Thanks a ton. Wow! Like everyone else, tried every remedy under the sun.Came across this page and tried the mustard and the burning stopped immediately.,Thank you so much. Thank you so much. The mustard was the ONLY thing that helped me tonight. I was desperate and had tried milk, olive oil, vegetable oil, dish soap, steel wool, vinegar and ice. I cannot thank you enough for this suggestion. Significant relief after first application, almost gone with second application except for tips of thumbs, and I’m now on my third application. I too came here searching for help after working with jalapeño pepper without gloves. I tried all remedies I could find, then mustard gave some relief, but pain would return after I wash dishes in warm water or even sun gets on my hands, it was weird, in the evening I was back to full blown burning again of that same day I worked with pepper and I was getting desperate trying to try those remedies again, and then I remember I saw one of the ineffective remedies were toothpaste that someone mentioned earlier. I had MyMagicMud toothpaste, and decided to try. Oh, my God! That was real magic. Immediate relief, I washed it off in few minutes a did it again, then again. The burning and pain was gone completely. Oh my goodness thank you!!!!!!! Finding this post was a miracle! I made jalapeno poppers tonight and my hands have been burning for a few hours now. Tried everything from washing them with different soaps, milk, sour cream, etc. Did the palms of your hands peel the next day? Mine are! I burnt them making Chile verde last night. I had no idea I needed gloves while chopping jalapeños! Thank you so much for this tip- my daughter and I made salsa today and she cut up the jalapeños. She has been in pain for hours and tried everything. Finally I saw your post about mustard and she is feeling some relief now. Thanks. This was me last night. Most absolute worst pain I have ever felt! I finally gave up after 6 hours and just rubbed my hands down with olive oil and prayed I could get a couple hours of sleep. Around 12:30am I reached across my nightstand and poured some dottera fractionated coconut oil and rubbed it into my hands. I kid you not, it was 100% I stand relief! It was like it didn’t even happen! I had no idea it would help like it did! Learned my lesson the hard way, gloves only for now on when making salsa! Literally best tip EVER!! After 24 hours of misery, my hands are free from the burn!! Your a lifesaver. A friend of mine had burning hands from handling chili. She pretty much tried everything as well. I found this page and having run out of ideas, we figured what the hell. We tried it and to my amazement, it worked. It took a second application before it was almost gone, but it was only under her fingernails at this point. Her hands were actually red before she tried this. The redness went away after trying the mustard. I’m baffled why this works, but thankful nonetheless. Poor thing! I’m so glad the mustard worked for her as well! Oh my goodness. I will never be without mustard again. My hands were on fire last night, still after 24 hours of making jalapeno poppers. I read this post about yellow mustard and it worked. It was instant relief. Thank you thank you thank you. Hey Kendra..I chopped up ghost peppers and jalapenos..we had plants and I thought I was being all thifty by cutting them up and freezing them..lol….my hands have been on fire all evening….I tried everything to get rid of the burn… my daughter told me to try Vicks vapor rub with contains menthol..works great..burn is gone…never ever again will I do that….thanks for your tips!! Omg! Thank you so much! I felt like my fingers were NEVER going to stop being on fire! INSTANT relief ☺️ Thank you! Thank you! THANK YOU!!! This is a miracle. Thank you for sharing!!! ? Thank you! My daughter made us stuffed jalapenos last night. This morning she woke me up at 6:30 am asking for my lavender oil. Half asleep I told her where it was and she tried it. No success. Still in lavender land from my diffusing, I got up and googled finding your post. She was grossed out but willing to try anything. It worked! Thank you, for sharing! I will pin to hopefully help others! So glad you found this cure! Ouch! THANK YOU SO MUCH!!! Made the mistake of cutting up jalepenos without gloves and thought I was going to go insane from the pain!! Other remedies did not work and after 3 hours I found your post. Mustard did the trick after just 30 minutes of keeping it on my hands. Relief at last!!! Hi so glad I found this site ,first thing tomorrow I will be buying mustard im in so much pain my poor thumbs , tried milk baking powder with the milk no relief I won’t make this mistake again fingers x I’ll be able to sleep tomorrow night . My wife just chopped up 3 banana peppers for soup… noticed not much of anything ’til taking a shower…then the burning set in, as described in all previous posts. First Googled site suggested milk… some relief. Your link was second…much much improvement & continuing to improve. Thanks for sharing… mustard… who woulda thunk? I am sitting here with my hand in a bowl of yellow mustard! It is helping! I bought some in season Hatch New Mexico green chiles at my local grocery store, I opted for the one in the box labeled ‘hot’! My family complains the green chile verde I make is never hot enough! Well, needless to say they were HoT! I have a box of plastic food handlers gloves I use for this reason, why I though I’d be immune today, I’ll never know! I got serrano chile in my eye a couple months ago, I thought I’d go blind! Milk was an instant relief as an eye wash at that time, but not this time! I think I’ll take a god pain killer too! Thanks for the tip! my hand burnt for 3 and a half hours. I first used olive oil and it only relieved the pain teeny-tiny bit. Mustart was an instant relief! Thanks for the share! I washed it off and now I feel very light burning which is totally bearable compared to what it was like just 15 min ago! Mustard worked!!!!! Nothing else even came close!!! My pain went from a 10 to a 1 finally able to go to sleep. I just sliced and deseeded a whole bunch of super chile peppers about 3 hours ago and the burning started about 20 minutes after i got done. And my fingers are almost ready to burst into flames. I have tried so many things I read online and nothing has worked for me, not even the mustard. I have pretty sensitive skin. So I guess for now I will just continue to hold on to my kids’ popsicles…lol GLOVES next time!!! Well here is an update for you guys. After 13 hours of extremely painful fingers they are now down to a very mild tingley/burn. Thank you so very much! I have never had a problem with peppers until yesterday and today. The mustard was an INSTANT relief!!! THANK YOU! THANK YOU! THANK YOU! OMG!!!! Thank you sooooo much….i think i tried everything and nothing worked…. Thank you so much! I deseeded half a kilo of chillies without gloves last night. Felt fine, just a few tingles but I’d washed my hands so thought I was all good. Then before bed, I had a shower. Not sure what happened there – I washed my hands again, scrubbed my nails, washed my face. Five minutes after the shower my left hand started to burn like fire, as you say it felt like I was holding my hand in fire. I slept on and off getting up to try various remedies but the only way I got some sleep was by lying with my hand in a bowl of iced water. Come morning it was still extremely painful so I went to the chemist but he couldn’t help. I kept holding frozen peas and coping with one hand. At midday I found your post about mustard and it worked! Thanks so much! I did about five applications of five minutes each and had a nap holding frozen peas…by the time I woke up I was all good. I love you! Thank You sooooo much, I burned my hands too with jalepanios and nothing helped until the mustard. I have been in pain all day, and tried enverything that was on the Internet… Mustard… Oh the new appreciation I have for you!!!! 3.5 hours of cutting n canning a variety of hot peppers with gloves on, 3gallons n3 quarts. Now my hands are on fire with gloves off. I’m going for the French’s now!!!!!!¡!! A few weeks ago, I found your site at 2 a.m. after chopping a bucketful of banana peppers from our garden earlier in the evening. 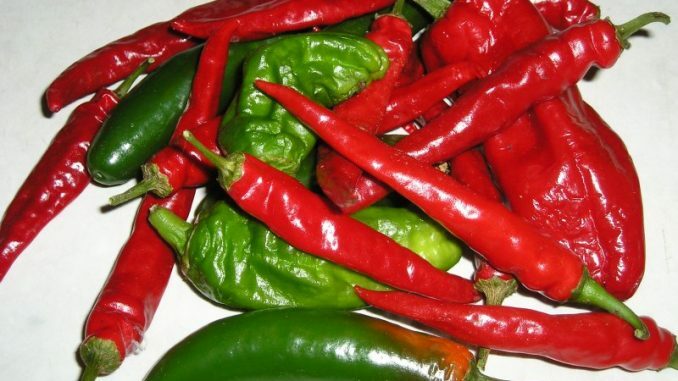 Knew jalapeno peppers would be harmful, but never, ever, (ever!) thought sweet banana peppers would be a problem. Oh the burning! I’d held a ziploc bag of ice for hours until reading about the yellow mustard here, glopped a gracious plenty on my hand to find some sort of relief from the intensity. My hand continued to burn until mid-day the next day, though it was more bearable. Incredible. Thank you for writing and sharing your information! I may never touch another,more less half a case full,yep I did,gloves never even crossed my mind.thank you so much. So glad to have helped! Poor thing!! Thank you! I too did the same thing working with peppers-After have agonizing pain for hours I finally got relief-I love you mustard!! So thankful. Thank you for posting. I have read so many and tried everything i could find. Now 15 minutes into mustard, second squirt and getting ready for third. It is instant but not lasting. I am prayerfully hoping another dose will finish it off. Oh gosh… sorry for your pain! I’m glad the mustard gave some relief. Thank God I found your post!!! Yippee for mustard!!!!! Greatly glad to find your link. In my case it was not a jalapeno, just some local (Indonesian) large red cayenne pepper, that I sliced for pork in soy sauce. Usually it do me no harm, but maybe it is now because my immune system is low due to recovery from bad flu (I was down with fever for the last few days). Will definitely sharing this tips. Glad I found this. The difference with my situation is, I was downtown on new years eve walking around with some friends and to make a long story short, a group of people started fighting, I was near the brawl, and without ANY warning the police began spraying the 6 or 7 people with mace which is made from pepper extract plus some other torturous chemicals. For those that dont know, mace travels pretty far airborne and its effects have some range to it because it hit me hard! The burning in my hands went from 0-100 that night while I was sleeping and I’ve been in pain all day for new years. Anyways I found out that soaking hands in milk, then washing them in cold water with a lot of dawn dish soap, then (hear me out) licking them until they have a coat of saliva on them really worked for me. I blew on them as the saliva dried and the pain was gone. It kind of make sense to me that your saliva is an acid that is made to break down things and it did a pretty good job of breaking down the peppers oils. Years ago my hands were burned while chopping jalapeños and wearing two pair of gloves. After trying everything in the house and finding some relief with ice, I called my husband at work. Told him I was using the last of the ice and couldn’t drive myself to to ER. He went to the nearest pharmacy and came home with camphorated oil. It is a counter irritant and it worked! Loved to hear about mustard. It is likely that people would have that in their home, but since my event I keep camphorated oil in the medicine cabinet. Mustard. That was a miracle. I was dying of pain and trying to sleep after a long day of worry. Put on the French’s, then a rubber glove, ice pack,and instant relief. I sleep very well thanks. I’m so glad it helped you, Claire!! I hope your hand recovers quickly. The only thing that helped me was urine. And I tried everything else before that. Its a horrible situation to be in and I just want to pass this on to help someone else. Thanks for the mustard tip. As I read your post I remembered that I had sliced some hot peppers the previous evening. Next time I will wear a glove and I wont’ forget! Best regards. Also, pepper “juice” can bleed through some latex gloves..just a FYI. I didn’t have any mustard so I tried coconut oil but it didn’t work either. I had some citrus Smirnoff so I figured why not, I poured it on my hand and rubbed my hands like I was washing them and almost instant relief. I rinsed my hands and it’s been 15 minutes and the burning hasn’t returned. I don’t know if it’s the alcohol or the citrus or a combination of the two but I’m just glad the burning is gone. So glad you found something that worked for you. Thanks for sharing that with us!! Pee! I know it sounds gross but after trying everything anyone has put on the internet from ice to mustard pee is the only thing has given my wife any relief. It’s the turmeric in mustard that is a pain reliever. Also try raw egg! An Indian friend told me about it!! Indian friend? Like in Wagon burner? Oy my! Thank you so much for posting this! I tried just about everything to get the burning to stop and you were right — mustard did the trick. So very thankful. I canned Jalapenos for the first time the other day. I didn’t use rubber gloves and paid for it greatly. I tried milk, ketchup, vinegar, toothpaste, mouthwash, yogurt, dish soap, bleach, salt, olive oil, calamine…..all recommended through blogs and posts online. None of which worked. I finally found this post and thought I’d try it. Thank goodness I did. This was awesome! It didn’t get rid of the burn completely, but it lightened the burning a great deal and within a couple of hours all of the burning was gone. Thank you so much! I’m so glad it gave you some relief! I hate you had to suffer! my fingers in vinegar (it’s not the vinegar in the mustard that does it), lemons, dish liquid, salt, tomatoes, milk, etc. The mustard made all the difference. The pain significantly subsided, I did one more ice cold milk soak and I could finally sleep. Mustard is the key! I’m so glad to have come across this site. My family members all thought I was retarded holding beer cans or anything cold I can find to relieve the pain of my burning hands. I tried the mustard and it helped a lot but it wasn’t “instant” relief. I wore gloves over my mustard hands for about 15 minutes, and when I took off the gloves and washed my hands with water and dish soap, I realized that the pain was finally mostly gone. Ramsey says lemon juice. Makes sense when you go out to eat and they give you finger bowls. Just discovered your site and like a good book, I can’t put it down! I know I’m late to the party, but there is still a lot of fun to be had! That happened to me last year. Except I had worn gloves while cutting the jalapenos, then took them off to finish my salsa. I didn’t think about putting them back on when I was washing the cutting board and knife I had used on the jalapenos! Oh I was sorry I didn’t. I tried the the milk remedy, then the honey, vinegar, etc. They only seemed to give relief for a little bit. It’s an awful feeling. Thank you for sharing the mustard remedy. I’ll keep that in mind…just in case! I found Baking soda and/or Apple Cider Vinegar neutralize this. They took some time but worked. The last time I used Neosporin Burn and Pain cream. It worked the quickest. OH thank you so much for this information! I was slicing banana peppers today and almost wore gloves, but I thought “they’re not THAT hot”. I was wrong. Not as hot as jalapenos, of course, but my fingers still felt like they were on fire! The mustard did the trick…I never would have thought of that! I did this about two months ago too! I cut a whole box to can, about 15! And it got worse and worse and worse! I tried baking soda paste, milk, orange juice, dawn dish soap to cut the oils, salt scrub, sugar scrub, everything I could find. My hands got inflammed and I ended up having to go to the ER. I felt crazy going in, but my blood pressure was through the roof, so they knew I was hurting. The doctor came in and said it was a first for him. We tried another baking soda soak, and then tried maalox, which made it worse. He ended up just giving me a pain pill for it, I’m not big on pharmaceuticals, but I was willing for this! I took the pill, went to sleep and woke up and it was gone. Glad to know mustard if I ever have a next time. Thanks for the tip! Oh man, Natalie! That’s terrible!! Wish I’d known about the mustard deal sooner. Seems like a lot of people could have used this info before now! I can’t even imagine how much pain you were in after doing so many peppers. Wow. I have learned not to chop peppers without gloves the hard way, as well. I also learned to be cognizant of what I’m touching with the gloves on! Watch out not only for your eyes, but the poor cats, and trips to the restroom! The bonus? Latex-free gloves are covered on the medical Flexible Spending Account, at least through this year, and I have a lot of FSA to burn up! I’m thinking I’ll be stocking up on gloves this fall! I feel your pain! I once was making a chile sauce using dried pasilla chiles. I thought it would be fine to stick my finger into the chile to shake loose the seeds since pasillas are fairly mild. Wrong! The only thing that gave me a little bit of relief was soaking the affected finger in milk and even that didn’t help much. It hurt for days. You can believe I will remember your mustard trick. Oh, How I sympathize! Once when I was cutting up hot peppers (with gloves, I had been warned) I happened to touch my eye! I hurt horribly! Wonder if mustard would have helped? Or ruined my eyesight! Now, when I make salsa – I cheat. I just measure out some crushed red pepper. So much easier! And NEVER a burn! Oh you poor thing, glad you finally found some relief!! I wish I had read this post 2 weeks ago!!! I canned 24 quarts of salsa (and cut all the jalapenos with no gloves)! My fingers burned for 4 days … ugh! I’m sorry you had to endure pepper pain … but thanks for sharing your lesson with us! Thank you for mentioning 4 days! I’m on day 2 and was about to head to the er as I couldn’t imagine the burning would last over night and through showers and multiple hand washing! Waiting on a jar of mustard now, thanks to you all for sharing, I was getting my worry on but good! update – Thursday morning 4 days10 hours later and ever so slight feeling of peppers on one hand, the other is ok… they are a slight bit sore, like I played a few hours of tennis but otherwise I think this is the last of it… Wow.. NEVER AGAIN without gloves. Mark that one as a lesson learn the hard way.I learned the hard way many years ago when I chopped two quarts of peppers without gloves. I finally had to sleep off the burn. If you chop enough peppers routinely in cooking you get to the point that you won’t feel the burn. Now I can chop a couple dozen and only have the tingle, no burn. I would never have guessed mustard would help! When our son was about 5 months old, my husband picked him up after eating a fresh habanero. (You think jalapenos are hot? Get your hands on a habanero if you REALLY want hot!) Poor David was trying to get out of his skin! He suffered so long, and he even had burn marks on his skin! Sure wish we’d have known to put mustard on it! You are so entertaining. You do such a good job of painting a picture of your misadventures and educating us at the same time! On a side note, I have been thinking of making some salsa with my overabundance of tomatoes and it never occurred to me to use gloves for jalapenos! Thank you for saving me the pain!! Well next time, to save you time and stained finger nails, just SOAK your hands in vinegar. It’s not the most pleasant smelling, but neither is mustard. The reason the mustard works is because of the vinegar in it. If you prefer being able to take your hands out of the bowl, etc. of vinegar, mustard is a good option, but it’s the miracle of vinegar that saved your poor little fingers. If I’m using jalapenos and don’t have latex gloves on hand, I make as few cuts as possible and always keep them skin side up. It’s harder on the knife but it saves my fingers. I never do enough to make it too painful but the second it gets under my nails I start cringing. Glad you found some relief! Hope you’re feeling better and that your salsa really is worth it! Megan, that’s interesting. I read that it’s the Turmeric in the mustard that does the trick. Hmmm, wonder which it is? ?